I am using a 9-axis accelerator on an Arduino Uno (Atmega 328P processor) with a BLE Nordic rRF8001 chipset. 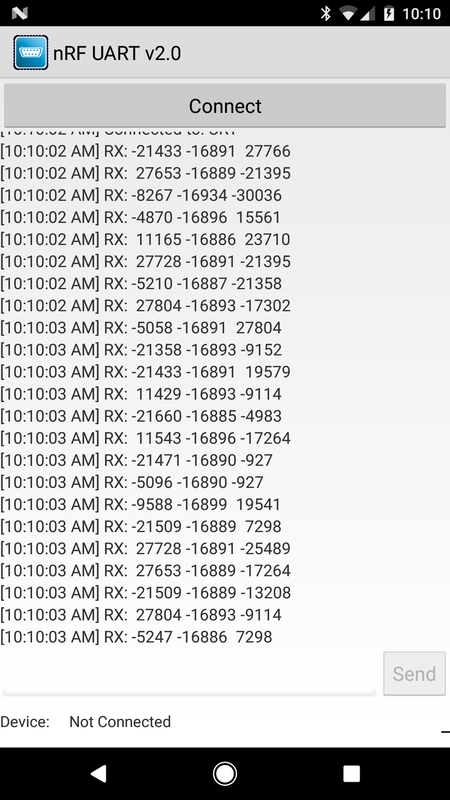 I am trying to send the accelerometer data via bluetooth to a smart phone (android). The problem I am having is that the data shown on the serial monitor (which is correct, is not the data that is received via bluetooth. I think it has something to do with either the casting of the variables or that I am screwing up when converting the formats. Below is where I'm currently at and what I have tried. // In-between gives the fusion mix. aci_loop();//Process any ACI commands or events from the NRF8001- main BLE handler, must run often. Keep main loop short. 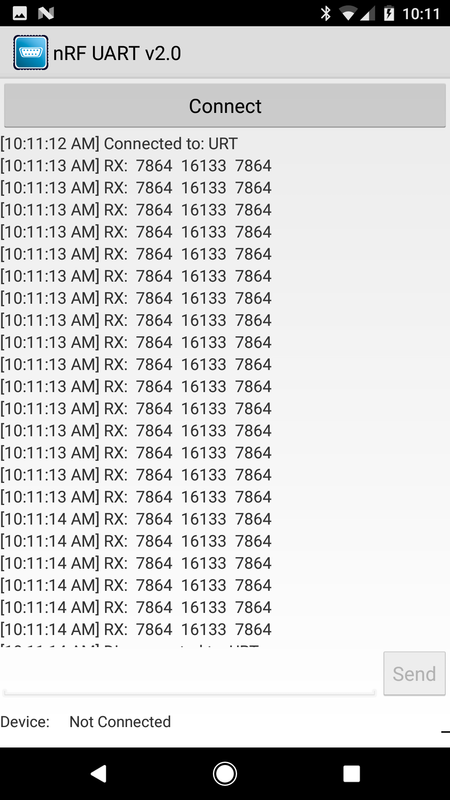 Any thoughts on why the data sent over BLE is incorrect? d is a signed integer. You can't format a floating point value as a signed integer, it just messes up. Also I don't think the Arduino's sprintf even has floating point support by default (it makes it all too big). So you will need to find another way to format your data. Maybe use dtostrf() instead. Not the answer you're looking for? Browse other questions tagged arduino-uno serial bluetooth android or ask your own question.